The Holiday Parade begins at 10:00 am, Saturday, December 13th. Starting at Bloomington Av. and Riverside Ave. traveling south on Riverside Ave towards Rialto City Park. 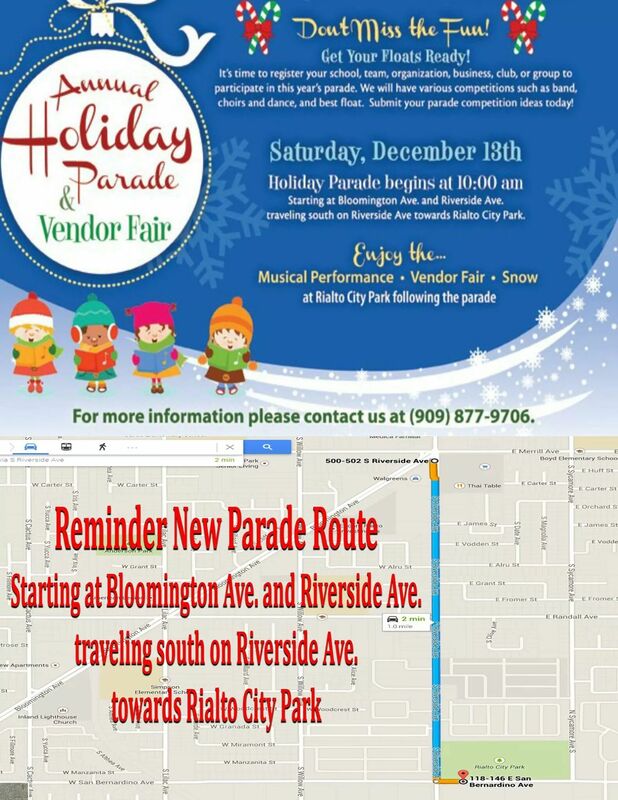 Enjoy the Musical Performance, Vendor Fair and Snow at Rialto City Park following the parade.